Rare books by Kingsley Amis, including first editions and signed first editions of Lucky Jim, The Green Man, and The James Bond Dossier. 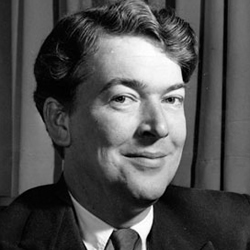 Kingsley Amis (1922 – 1995) was a British novelist, and member of post-war group writers the Angry Young Men. The Fantasy Poets Number 22. What Became of Jane Austen and Other Questions. The immediate success of his second book, Lucky Jim (1954), necessitated six additional printings to meet demand that year, making first editions of Lucky Jim in their original jackets particularly scarce and desirable. He published twenty-five other novels, including the first post-Fleming James Bond adventure Colonel Sun in 1968, as well as books of poetry, short stories, literary criticism, and essays on food and drink.